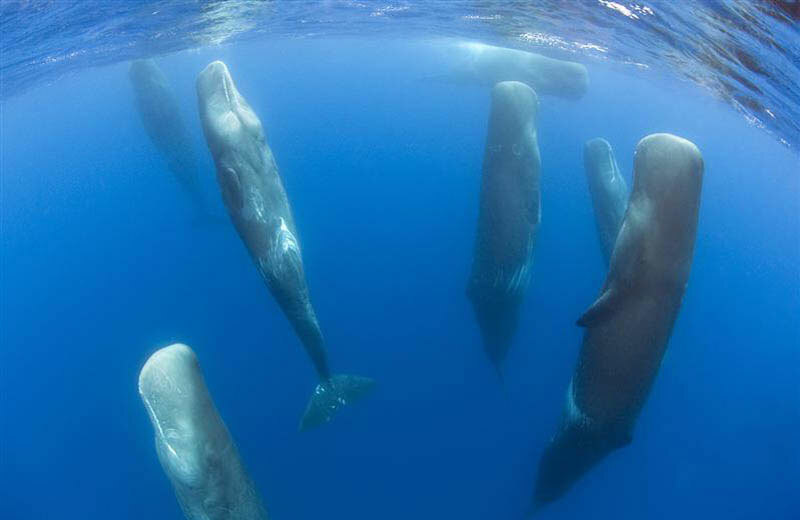 A pod of sperm whales are observed sleeping vertically, floating in a state of suspended animation. The clip is from the nature series Big Blue (episode 4 of 7). Sperm whales are believed to only sleep for brief periods of 12 or so minutes.